Betrayed and cast adrift... Hell hath no fury like a woman scorned! 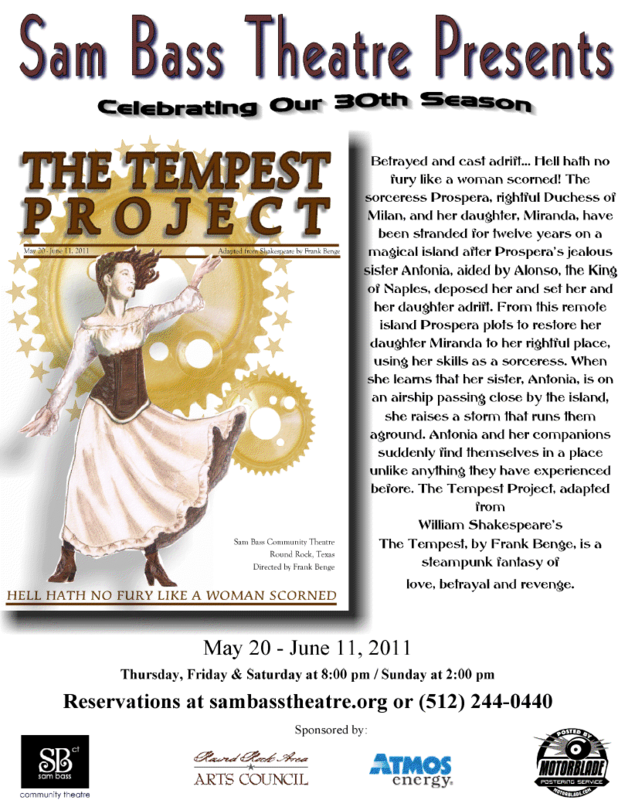 The sorceress Prospera, rightful Duchess of Milan, and her daughter, Miranda, have been stranded for twelve years on a magical island after Prospera's jealous sister Antonia, aided by Alonso, the King of Naples, deposed her and set her and her daughter adrift. From this remote island Prospera plots to restore her daughter Miranda to her rightful place, using her skills as a sorceress. When she learns that her sister, Antonia, is on an airship passing close by the island, she raises a storm that runs them aground. Antonia and her companions suddenly find themselves in a place unlike anything they have experienced before. 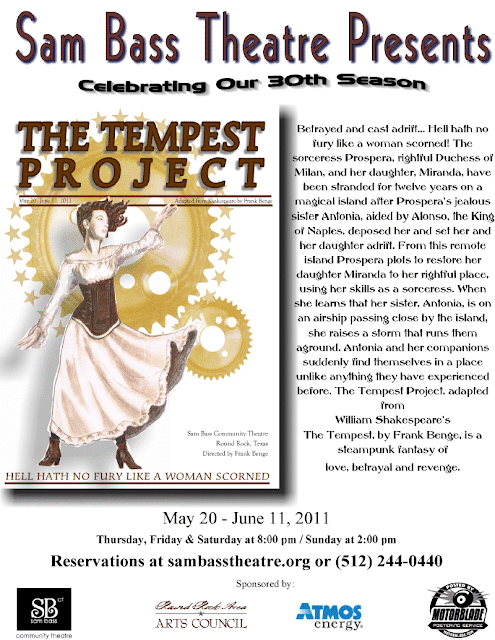 "The Tempest Project", adapted from William Shakespeare's "The Tempest", by Frank Benge, is a steampunk fantasy of love, betrayal and revenge.